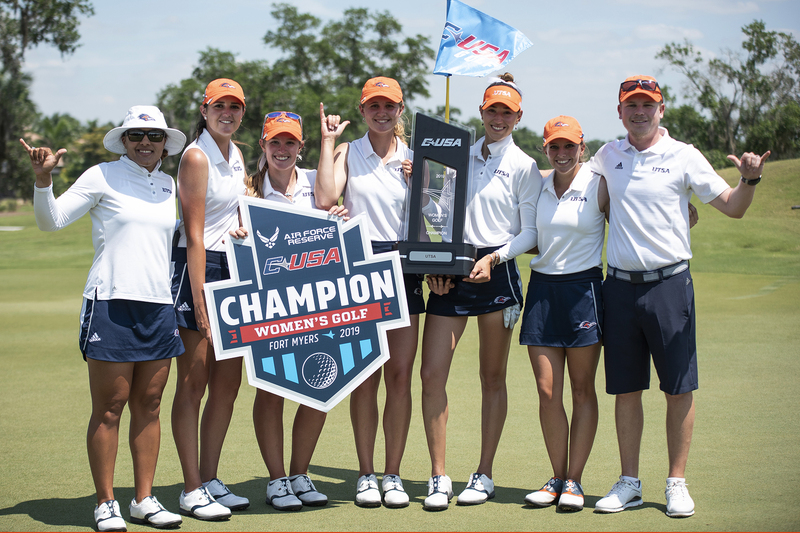 The UTSA Roadrunners returned home last Saturday, Oct. 13, for homecoming against the Louisiana Tech Bulldogs. The Bulldogs would spoil the night by keeping the Roadrunners out of the end zone and defeating them with a score of 31-3, putting them up 6-1 all-time against the ‘Runners since joining Conference-USA. “We were outplayed, we were out-coached and on tonight that team was better than us and was deserving of victory,” said head coach Frank Wilson, about what he saw during the game. The Bulldogs received the ball first and drove 53 yards down the field, capping off the drive with a 2-yard touchdown by running back Kam McKnight, giving LA Tech an early 7-0 lead over the Roadrunners. On the following drive, UTSA quarterback Cordale Grundy hit wide receiver Blaze Moorhead on a shovel pass which quickly turned into a 52-yard gain, placing the Roadrunners in good field position. After a sack by LA Tech’s Collin Scott, the Roadrunners were forced to punt. Following a big stop by linebacker Josiah Tauaefa, the Bulldogs set up for a field goal. Kicker Bailey Hale connected on a 46-yard field goal to put LA Tech up 10-0 early in the second quarter. UTSA got the ball back, and after two first down runs by Grundy, the Roadrunners were stuffed on third down and forced to punt the ball away for the fourth time. The first turnover of the day took place when Grundy tried throwing into triple coverage but was picked off by cornerback L’Jarius Sneed, who set the Bulldogs up with a good field position. After an incomplete pass and a holding penalty, the Bulldogs were forced to punt again. LA Tech was able to put up another touchdown before halftime when running back Jaqwis Dancy ran one in from 3 yards out to give the Bulldogs a 17-0 lead with under 2 minutes left in the first half. The first half was not the best for the Roadrunners. The offense was only able to put 139 yards of total offense compared to the Bulldogs’s 200. Grundy produced two turnovers by himself after throwing an interception and fumbling with less than a minute left before halftime. Wilson during the post game interview. The third quarter started out well for the Roadrunners, defensive end DeQuarius Henry stripped quarterback J’Mar Smith and was able to take over with good field position. Keeping up with the game-trend, kicker Jared Sackett missed his field goal. Three plays later, Smith connected with his wide receiver George Scott for a 67-yard touchdown to give the Bulldogs a commanding 24-0 lead over the Roadrunners. With under two minutes left to play, Sackett redeemed himself and managed to connect on a 29-yard field goal to carve into the Bulldog lead. It was clear that LA Tech was in the driver’s seat and not looking to hold back against the ‘Runners. With the Bulldog offense threatening to score, cornerback Cassius Grady picked off Smith, which brought short-term life into the Alamodome. Grundy then hit consecutive passes to tight end Carter McCarthy and wide receiver Marquez McNair for big gains. The Roadrunners finally found a little spark on the offense, but the drive stalled out and the ‘Runners failed to convert on fourth down. When it was all said and done, the Bulldogs would tack on another touchdown on a McKnight 7-yard run to give Louisiana Tech the 31-3 edge over UTSA. Smith was able to rack up over 300 yards through the air, and one passing touchdown, with his top target being Teddy Veal who hauled in seven receptions for 75 yards. On the UTSA side of the ball, Grundy had 191 yards passing and 60 yards on the ground. 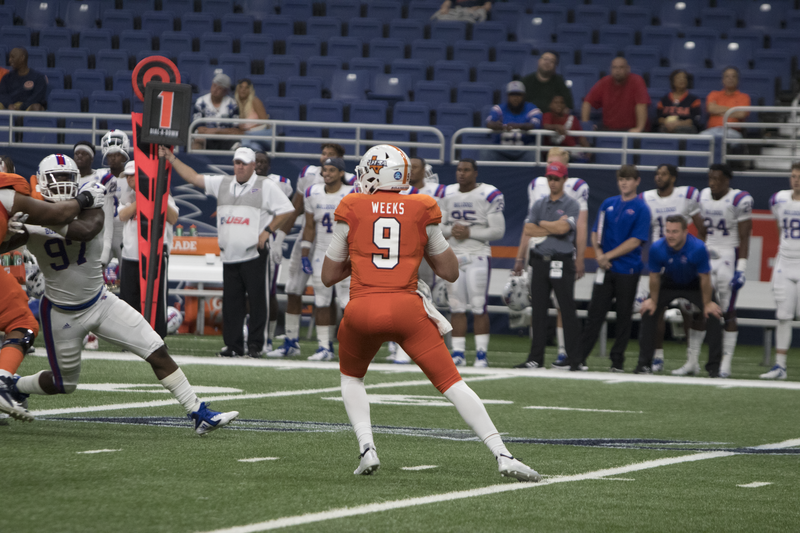 The biggest surprise of the day came with under a minute left when freshman quarterback Jordan Weeks entered the game, causing a stir amongst the UTSA faithful. Weeks was playing with limited time but was able to complete two passes for 10 yards and added six more yards rushing. Although they allowed three red zone touchdowns, the run defense had a solid day by only allowing 75 yards on 38 touches. Tauaefa and safety C.J. Levine led the way on defense with 13 and nine tackles, respectively. “We played great, but in another aspect, we also have to prevent teams from getting in the end zone,” said Levine about the defensive performance. 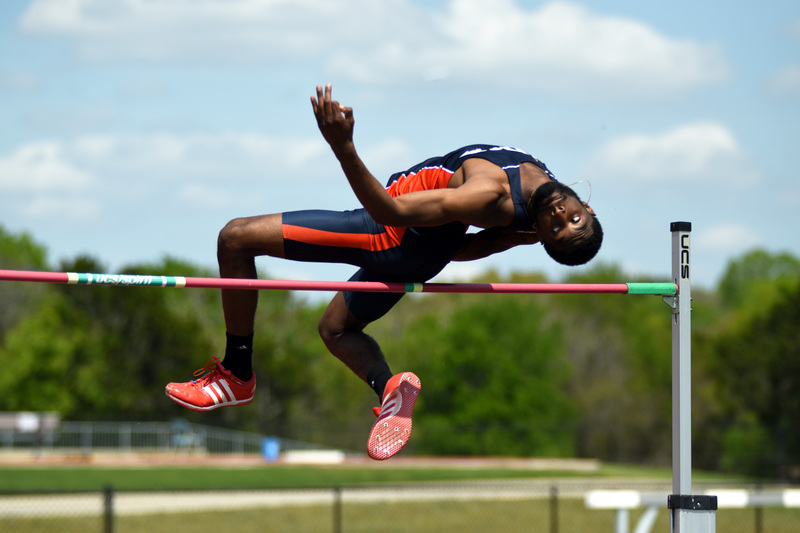 The Roadrunners fell to 3-4 on the year, but still are 2-1 in conference play. Their next two games on the road will be tough tests against Southern Miss and University of Alabama at Birmingham (UAB). One final question is if a quarterback controversy will start to brew after the emergence of wildcard Weeks and lack of offensive production.